One of the major use cases driving 5G development and deployment is the need for high-speed Internet connectivity in locations where it is impossible (or expensive) to cover the last mile via cables. Both carriers and hardware makers, in turn, are looking to capitalize on this by offering service contracts and high-end 5G mobile hotspots. TCL, the company behind Alcatel and BlackBerry smartphones, is prepping a rather interesting device: a 5G Mi-Fi, a 5G hotspot with a USB Type-C interface. 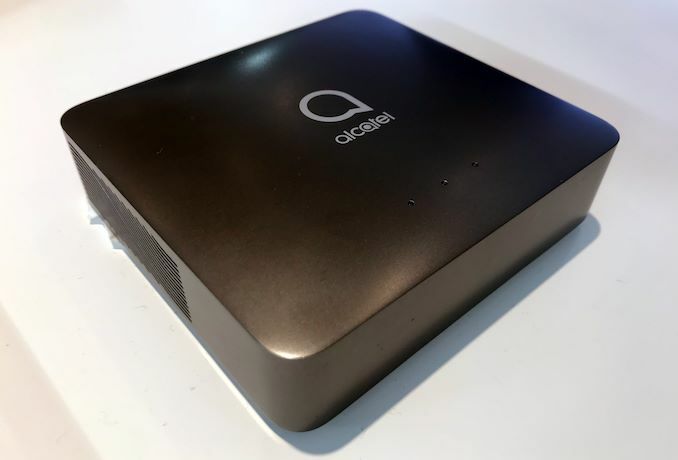 The Alcatel "5G USB Device" (which will likely go by other names when distributed by the carriers) supports download speeds of up to 2 Gbps (using 4x4 MIMO) and upload speeds of up to 1 Gbps (using 2x2 MIMO). The hotspot is based on MediaTek’s Helio M70 modem, which supports 5G NR/LTE and 5G NSA & SA on the sub-6 GHz band. So the hotspot won't have access to mmWave and the even higher bandwidths that provides, but sub-6 is better suited for the kind of last-mile deployments that rural 5G will be aimed at anyhow. The unit has 1 GB of LPDDR4 memory, 1 GB of NAND flash storage, and a 4000-mAh battery that can last for one day, according to the manufacturer. 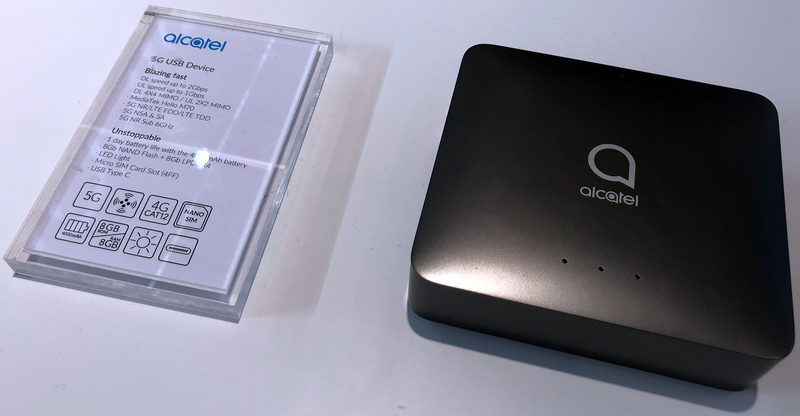 One of the odd things about Alcatel’s 5G Mi-Fi is the fact that TCL does not explicitly list it as supporting Wi-Fi (at least not on its present form). Instead its only client connectivity is a USB Type-C port, which seems to be used for power as well. There are of course other wired Mi-Fi devices on the market, but it's unusual for these devices to ship with large internal batteries, as is the case for Alcatel's device. So I'm going to be surprised if we actually see the device ship without Wi-Fi support. Otherwise, expect to see the device used with solo PCs and with routers that support USB cellular adapters, the latter of which is actually a fairly common feature despite its limited use. At the moment TCL is not saying when it plans to release its device commercially. Like so many other 5G client devices, we expect to see it launch once the 5G networks are deployed. But...not many 2.4GHz client devices. USB 3.0 interferes with 2.4GHz WiFi signals. My Synology RT2600ac lets me degrade the USB 3.0 port to 2.0 to reduce interference, esp. w/ 3G/4G dongles...but for a 5G device, feel like I'd be throwing the baby out with the bathwater. Yes, basically those USB 4G Sticks... except this one is massive in size. And has battery built in. Normally we have battery for WiFi Hotpot so you can use it on the go, but this isn't really the size of on the go Router and does not have WiFi.